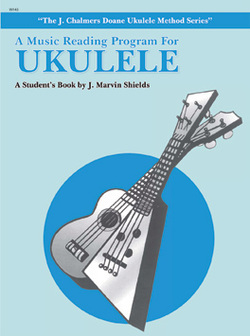 This ukulele book is designed to develop the student’s sight reading skills as well as to give them an understanding of the many basic musical concepts. The ensemble activities that appear in this book and those listed in the Teacher’s Guide are most important. They are fun to play and they make use of the music reading skills and concepts students have learned to this point in their music reading skills.